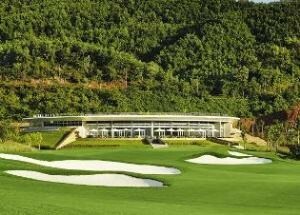 Designed by Luke Donald and managed by IMG, Bana Hills is a world class facility and is Luke Donald’s first design project. 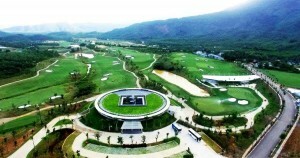 The course is located at the foothills of the famed Ba Na Hills on Vietnam’s central coast, located 25 minutes from downtown Da Nang. The course was awarded “World’s Best New Golf Course” at the World Golf Awards 2016. This stunning property is set amongst some of the most impressive mountain ranges in the region, complimenting the inaugural Luke Donald designed course. The par 72, 18-hole Championship golf course provides a balance of challenge, enjoyment and excitement to golfers of all levels and abilities with 5 sets of tees to ensure golfers of all standards are assured a pleasurable round of golf. Ranging from 7,857 yards from the Professional “Luke Donald” tees to 6,022 yards from the white, more friendlier tees, a good variety and mixture of playing lengths makes every hole feel unique. The golf course features two distinct nines with a relationship of water to playing areas providing variety and balance. The front nine is somewhat more traditional forest/parkland in style, while the back nine winds its way through the twists and turns of the surrounding hillside. 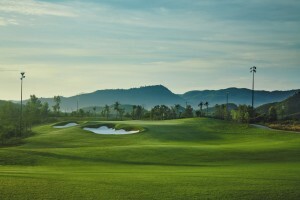 There are several unique course characteristic with the bunkering style impressively bold with grass rolled over the faces leaving the sand partly visible from the tees while the green complexes feature subtle undulations and encourage a variety of approach shots to create a unique and distinctive golf venue. Following your round the well-equipped and iconic clubhouse design inspired by a traditional Vietnamese shaped coin offers a selection of well-equipped facilities including the Al Fresco restaurant overlooking the 18th green while a well-stocked golf shop has a full range of quality merchandise and logo items for your every golfing need or to commemorate your day at the club.